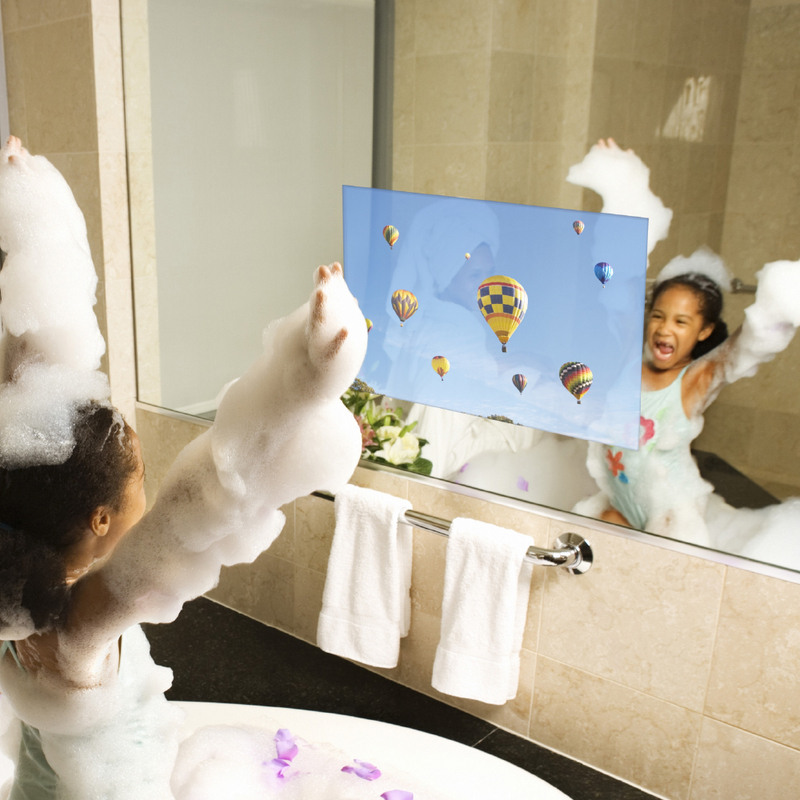 Our stunning Vanity Mirror TV adds the ultimate finishing touch to any luxury kitchen or bathroom! 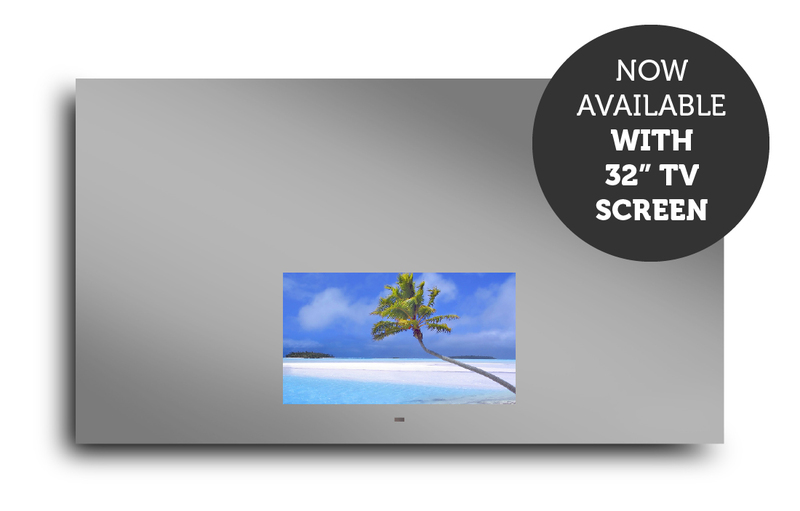 This amazing product comprises either a high-bright 17”, 27” or 32″ LED screen, fitted behind a larger mirror or black glass splash back. 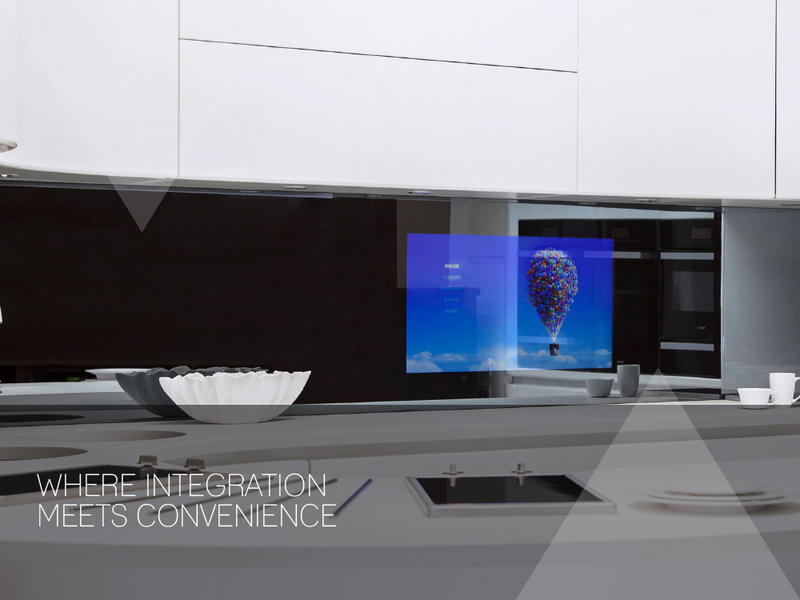 The installation is simple as the whole unit (mirror with TV attached) is wall-mounted, using specially designed brackets, which we provide. This product is very slim at only 25mm deep and once installed the finished design is striking. 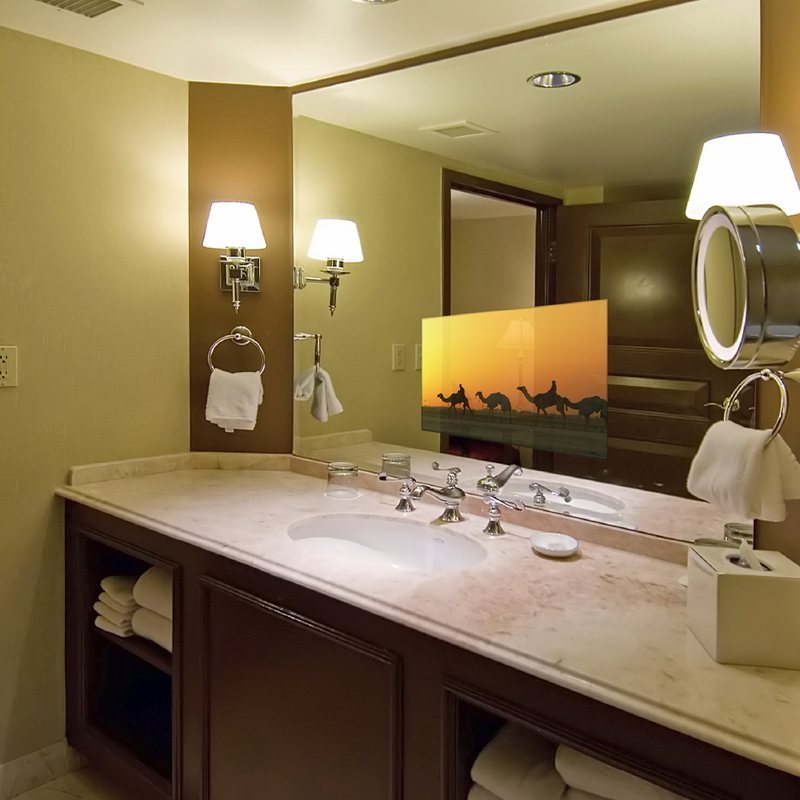 The Vanity Mirror TV is available in a choice of sizes and finishes. We can offer a bespoke service. 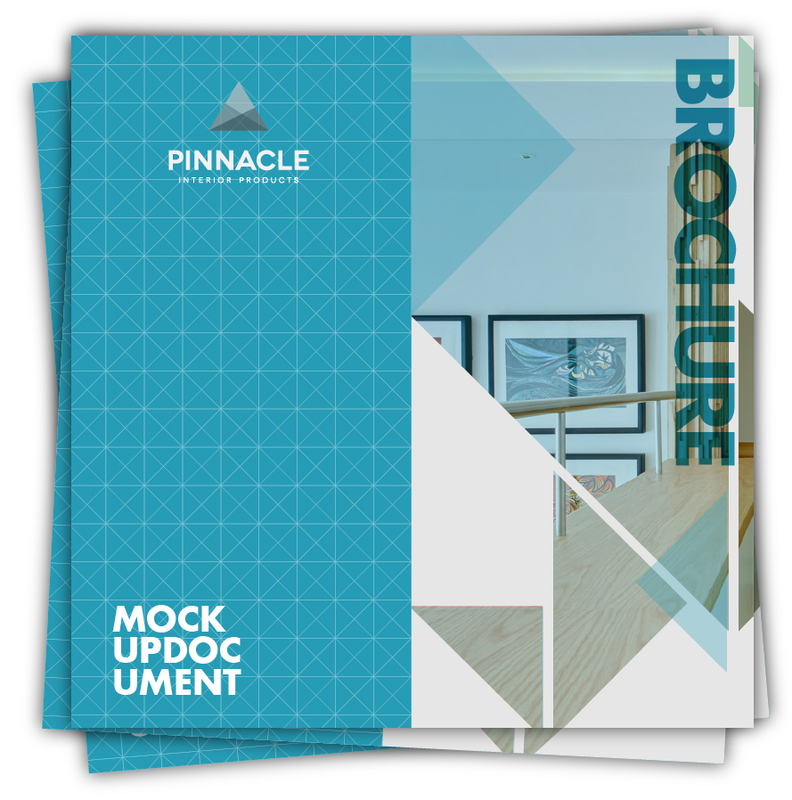 Please contact us for further details, or to discuss your requirement. 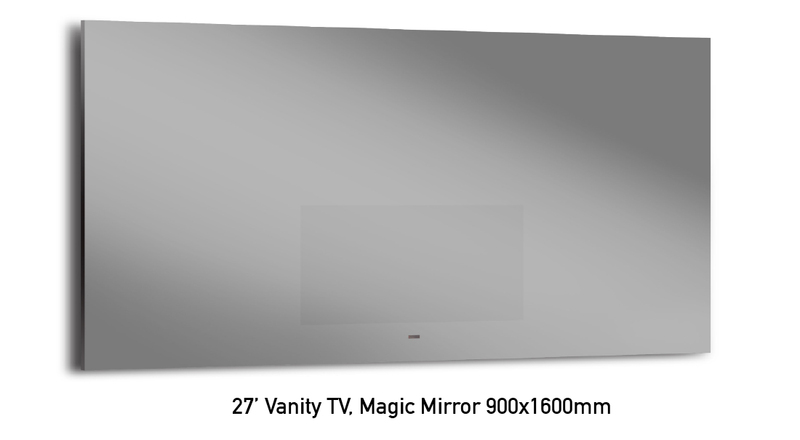 Pinnacle Vanity Mirror TVs come with 2x Waterproof Ceiling Speakers and a fully Waterproof Remote Control.